Here is the song John Lennon wrote for his mother, Julia, ten years after her tragic death in 1958. Today, March 12, would have been her 99th birthday. Listen to the full version of Off Our Rocker’s, Julia. “Julia” is the last track that our 1960s college band recorded for a 2008 tribute CD to the Beatles. Our weekend reunion was a musical lark, but Lennon’s haunting solo made us hesitate. With some trepidation, we finally decided to go ahead with slight touches of harmony. Anyone can find samples from two commercial CDs we released as the mock cover group, Off Our Rocker. Or you can simply wait to hear the full songs for free. 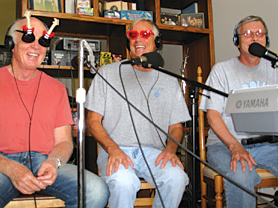 We did them for fun, anyway–lots of fun–for friends rejuvenated by music. So we’ll post other songs from time to time with our compliments. The three of us are scattered, with many aches and a few grandchildren, but Off Our Rocker may soon sing again. I will teach a weekly history seminar this spring term at my home town University of Baltimore. The course will explore the modern civil rights era at its transformative peak, 1954-68. We hope to develop for the future an in-class seminar that can be shared via the Web by an expandable group of participants from diverse places and backgrounds, registered individually or through institutions for credit. Therefore, for this trial run, the University of Baltimore will accept interested auditors from a wide variety of groups: students and teachers (high school through college), non-degree candidates, general lay readers, and specialists in subject areas from race relations and social movements to government and nonviolence. Several of the technical departments at the University of Baltimore have cooperated to make the in-class seminar available via the Web to registered auditors simultaneously, by live-stream connection, and also by delayed retrieval and review. I have taught a similar course several times before, most recently last spring as a visiting Honors professor at UNC-Chapel Hill. Those courses carried intensive reading assignments from texts that included my 2,306-page King-era trilogy. This new course is designed to introduce the most salient events and issues through a more compact core curriculum. The weekly readings are built around the eighteen chapters of my newly released book, The King Years, which is a 190-page guided distillation of the longer work. 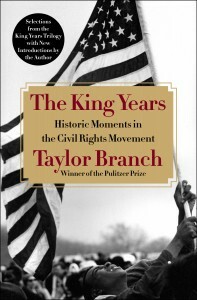 Information about the book is available from my website: www.taylorbranch.com. Information about the course, including registration for potential auditors, is available in the official announcement by the University of Baltimore. The seminar will meet on Wednesdays from 5:30-8:00pm, starting with an introductory session on January 23. 1. 150 years ago, in January of 1863, Abraham Lincoln’s Emancipation Proclamation declared forever free nearly 4 million slaves then living under Confederate control. Two years later, as dramatized in the current Steven Spielberg film, Lincoln pushed through the 13th Amendment shortly before his assassination. 2. 50 years ago, in January of 1963, Democratic Governor George Wallace of Alabama delivered his defiant inaugural speech pledging, “segregation now, segregation tomorrow, segregation forever!” One century after the Civil War, Wallace tried and failed to preserve an old order of unequal rights in the midst of a citizens’ upheaval called the modern civil rights movement (1954-68). 3. Now, in January of 2013, a re-elected Barack Obama takes his oath as the first African-American President of the United States. Equal rights and opportunity have advanced broadly, perhaps miraculously in historical context, but racial issues still are muted as solved, unsolvable, or both. Group voting sharply divides the major political parties. This compact, 190-page book is a venture for our time of rapid change in communication. Professors and teachers long have complained that while story-telling history is accessible for their students, my multiple thick books are difficult to handle. From another angle, general readers who appreciate narrative have pressed for some distillation of key questions and lessons that have evolved over the thirty-plus years since I began research for Parting the Waters. It was hard for me to revisit my work, in part because I believe personal detail is vital in cross-racial history. The goal here is to preserve detail from the original language of my civil rights trilogy, sometimes stitched together between volumes, achieving economy by painful selection among the stories told. There is literary blood on my office floor, but I take responsibility for the choices. Combined with new summary introductions for each chapter, which are necessarily more analytical, I aim to deliver accurate narratives that raise salient questions across the full sweep of the civil rights era. Postings over the next few days will introduce other new projects related to the book. An enhanced digital edition, for instance, offers audio and video links to illustrate material in the text, including news footage, music, and excerpts from presidential recordings. On the educational front, I hope to build on experience as an adjunct teacher of civil rights history at Goucher College and the University of North Carolina. Starting in this spring semester of 2013, the University of Baltimore will offer to a potentially expandable group of on-line students my weekly seminar built around The King Years. Thankfully, some things endure in the digital age. 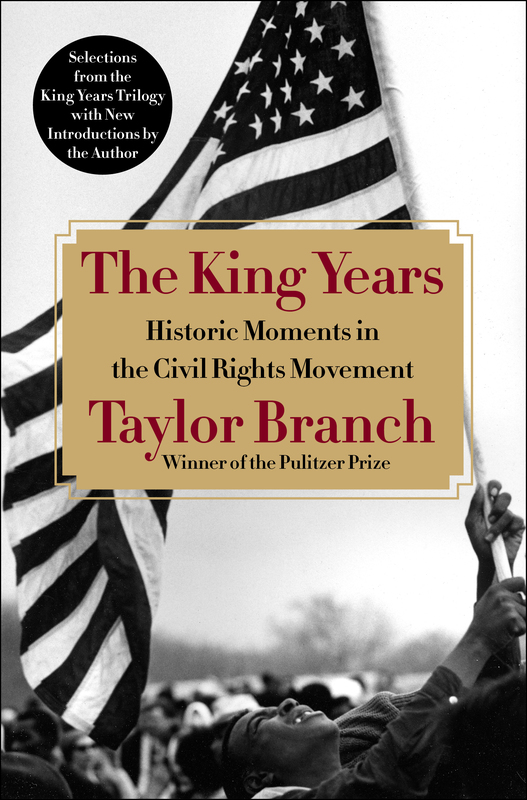 The civil rights era has kept me enthralled over a long career writing history. It remains an unsurpassed source of learning on our capacity for justice and free government. The past two weeks have been filled with heartache and joy related to our dear friend Dudley Clendinen, who died on May 30 only nineteen months after being diagnosed with the cruel affliction known as Lou Gehrig’s Disease. My eulogy for him is posted in the previous blog. Several noteworthy events converged randomly and serendipitously, just as Dudley would have relished. Sadly, he did not quite make it to the show in Baltimore of the forthcoming film from Fox Searchlight, Beasts of the Southern Wild. Jed Dietz of the Maryland Film Festival worked diligently to arrange a closed screening while Dudley was still alive, because Dudley was so delighted for his young cousin Lucy Alibar, co-screenwriter of the film based on her stage play. 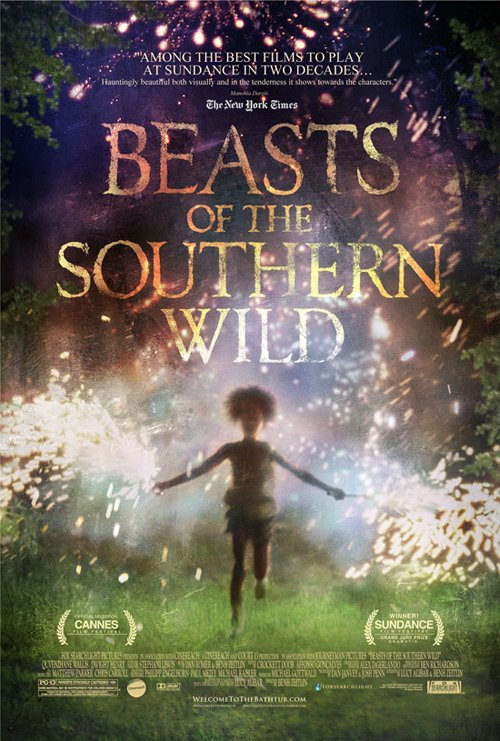 Advance reviews are stunning, as Beasts has captured top prizes at both Sundance and Cannes. The theater release coming soon in July almost certainly will make new stars of the untrained lead actors, Dwight Henry and 6-year-old Quvenzhane Wallis, while opening bright career doors for Alibar and the visionary director, Benh Zeitlin. To safeguard public impact, and prevent pirate videos, gremlins confiscated for later return all cameras and cell phones from the lucky patrons who entered the June 5 screening. After the film, which transported viewers through a world of grim and fantastic apocalypse into the healing mysteries of nature, Lucy Alibar answered questions on stage in an interview with WYPR radio host Tom Hall. Emotions from the audience ran deep over the film as well as Alibar’s remembrances of the senior cousin she knew as “Unca’ Dudley,” whose funeral had taken place only the day before. Tom Hall conducted a remarkable series of 25 public radio interviews with Dudley about his swiftly approaching death at the hands of the intimate killer he called “Lou.” Those conversations served as raw material for a book Dudley was writing until his final day. The book project had grown from a stark essay he wrote last July for his beloved New York Times, where Dudley had been a reporter in the 1980s. With its courageous reflections on how to die, his essay “The Good Short Life” attracted worldwide attention from terminal patients as well as ordinarily reluctant mortals. Algonquin Books, a division of the Workman Press, plans to publish Dudley’s posthumous memoir within a year. In one of our closing moments, I got to pass along from Julian Bond the inside story of the NAACP’s surprise endorsement for full equality rights in gay marriage. This news was especially important to Dudley because of his youthful travail as a closeted homosexual and his mature work with Adam Nagourney of the Times as historians of the gay rights movement (Out for Good, 1999). The news was equally important to Julian, a pioneer of the civil rights movement and long-time Board chair for the NAACP, because of his long quest to make gender rights an issue of human freedom and respect like racial justice. Julian and I have been friends for nearly 45 years. At our home for dinner, with his wife Pam Horowitz, he told Christy and me of the parliamentary breakthrough at the NAACP Board’s May meeting—of the inspiration to embrace gay marriage not only in discussion but in a formal vote, and how he drafted a simple statement of principle that evaded snares over wording and procedure. Struggles continue as always, but word of the victory cheered Dudley, which cheered Julian, and should cheer us all for the long run. This bow tie is a first for me, courtesy of Jed Dietz. It makes me feel more like Dudley, albeit with a good deal less of that shiny white hair. A bit more courtly and charismatic, debonair, and slightly odd. I can’t believe you’re gone, but then again, we saw what you went through with such graceful courage, and we celebrate your steadfast love to the end for this world’s zany, ornery, ever-blessed people. Dudley was the quintessential fizz in life, serving up constant, mysterious bubbles of delight. He was in the middle of everything, but also, simultaneously, a detached observer who turned every hardship and frustration into a doorway for affectionate wit. He was impish and eccentric, like my own late father. Everybody knows he was fun. Even now, we hope to draw on his irrepressible spirit to help us through this moment. Let us never forget, though, that Dudley’s life was full of trauma long before he met the disease he called “Lou.” It is tempting to telescope gay progress in retrospect, and to forget unspeakable hell less than half a lifetime ago, but Dudley never did. Here’s what he and Adam Nagourney wrote of their youth: “No one homosexual was celebrated in the American culture in 1969. When they looked for information in libraries that year, they found clinical references and glum descriptions in journals of medicine and psychiatry, with a scattering of news items filed under such headings as ‘variant,’ ‘lesbian,’ ‘pervert,’ ‘sodomist,’ and ‘deviate’….Even the Village Voice, the chronicler of the New Left, found humor rather than history in the gay riot at the Stonewall. ‘Wrists were limp, hair was primped,’ it reported…The Voice…disparaged homosexuals as ‘queers,’ ‘swishes,’ and ‘fags’.” Their contemporaries often considered it better to be dead than to be gay, and a decade later along came AIDS to accommodate them like a guillotine cutting through hard-won prayers of optimism. And for Dudley, all this was on top of his personalized struggles with alcohol and family upheaval, let alone our common woes of racism and war. No wonder he gobbled up psychiatrists like vitamins. I repeat, let us never forget. It is precisely because of his travails that Dudley is so special. He confronted, captured, and subdued them for adventure, which he shared with us all. He always wanted to drive, for instance, and that scared us. We prayed he would not be able to remember where he had parked one of his old clunker convertibles—forty feet long, with the throaty engine, wobbly hood ornament, and glove box full of parking tickets—but then we were off to somewhere. Dudley was happiest when we were lost. Because we weren’t. For him, chaos was merely the occasion to kick-start a story, and every crisis became a wonder. For the same reason, dinner could never be too late. Christy and I used to sneak pocket snacks into his suppers on Bolton Hill, knowing it would be hours of mirth before Dudley would produce a trademark stew simmered forever in his stove-top armada of deep skillets. More than profundity, Dudley milked an earthy connectedness from our various foibles and fussiness and feuds. Famously, his toasts lifted all those present with an elegant caress for each person around the table. Just last week, with his body shriveled to a sliver, he provided comfort and amusement when Steve Wigler turned up shaken at midnight with his windshield shattered by a wild turkey on the highway. Here was a random, quirky drama, perfect for Dudley. The “Lou” disease took his precious conversation toward the end, but never the written word. Above all, Dudley was a writer. I never saw him happier than when reading passages from his Canterbury tales book in public. Only a few months ago, he wrote, “All of you know me well, manifold warts, whimsies and all.” He fired off an email for help, writing, “Somehow I have vaporized my address book.” He leaves his spirit with and in us from the page. Here, from only nineteen months ago, he confronted an unknown affliction in a note to his students: “for a long time, my voice had been getting balky. cranky. unreliable. sometimes it sounded like a granite wheel,. sometimes like diane rehm on steroids. and sometimes like a rusty hinge. 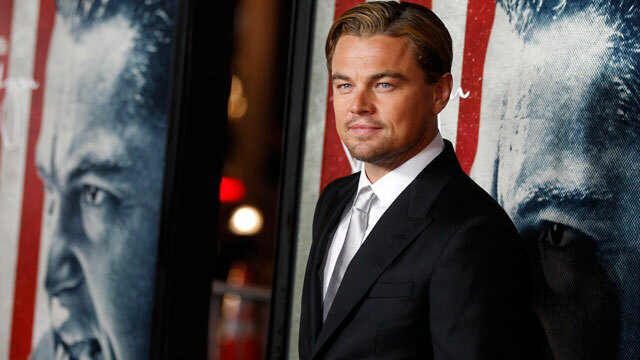 Later in October of 2010, he approached his diagnosis in an email: “i saw my my new neurologist and had lab work thursday. had a brain MRI wednesday, which is a little like being trapped inside a philip glass symphony. wonderfully strange radio signal sounds. brain is fine – meaning no strange lumps. just ruined sinuses. “the neurologist thinks my whole complex of symptoms, – breathlessness, fatigue, fading voice, thick tongue, loss of throat control, choking, strangling, etc,, (but unfortunately not dirty apt., piled up dining room table, lateness or other annoying habits) – are all attributable not to my inflamed, drippy sinuses, or anemia, or reflux ,or severe iron deficiency, but to either lou gehrig’s disease or something called myasthenia (or miasthenia?) gravis. a disorder of the auto immune system. “gravis is about 90% treatable. gehrig’s is about 100%^ untreatable. “i regard this as good news, or at least good odds. he suspects it is gravis. i am hoping he is a smart doctor. i should know by wednesday. When the Latin failed, and Lou Gehrig’s disease was confirmed, Dudley instantly and characteristically embraced the story of his own demise in a riveting series of radio interviews with Tom Hall. Thank you, Tom. Thank you, Joshua, for giving us the inspiration of your care and devotion. Thank you, Whitney, family and friends, and above all Dudley for love to the end. “Lovedudley” in one word run together. “Lovedudley.” Like it should be, and will be.